Even though so much marketing these days is done online, there will always be value in a physical piece of marketing collateral that can be handed to someone or sent in the mail. But imagine, if you will, the magic of a physical brochure that features a high-quality high-definition video screen pre-loaded with your video (or videos). 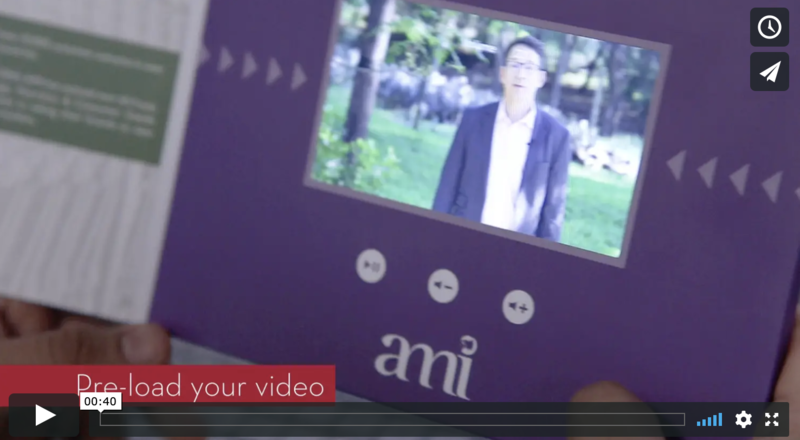 Video brochures are a marketing piece that gets attention and that doesn’t get thrown away quickly! You can even personalize the videos to each of your customers, giving them a unique customized experience. Interested in learning more? Book a time to talk to White Knight about creating video brochures for you. It’s more affordable and easier than you may think. You can always reach us at 607-239-5423. If we can’t answer we’ll return your call within 24 hours. © 2018 White Knight Productions. All rights reserved. Designed and developed by MantyWeb.